“I love getting stuck in traffic jams,” said no one ever. As testimony to finding a creative solution to this urban problem, in October 2018, Chicago-based SpotHero’s parking reservation service made it to the TIME Genius Companies list. This is especially helpful at a time when drivers looking for parking spaces are known to be responsible for around 30% of in-city traffic gridlocks. Spothero allows drivers to find and e-reserve discounted parking spots from a wide network of parking operators. Ex-financial analyst Mark Lawrence claims to enjoy driving but doesn’t consider the act of parking to be quite as thrilling. He only mirrors the sentiment of a large section of the US metro population, who get stressed out while looking for limited parking slots. As reported in CNBC, it was when Lawrence and co-founder Jeremy Smith (erstwhile roommates) accumulated thousands of dollars in parking tickets that they realized that Chicago’s parking process was severely broken. So, they hit upon the idea for Spothero. If you wish to drive to the airport, instead of hailing a cab, Spothero lets you book airport parking for a steal as shown in this grid. Or you could use the platform book slots for a whole month/week, to make parking so much more affordable. When it started off in the Charm City, as mentioned in a segment on WGN radio, Spothero partner-acquisition process was as rudimentary as going door-to-door to ask people to rent out their unused parking spaces. Customers could locate and purchase parking space from the newly launched website but as proof of purchase, they needed to show the printed ticket at the parking lot. Though it now seems antiquated, it was still a big step up from a time when people had to circle around for a spot, stop at the parking gate and pay physical cash. Then, the free to download Spothero iPhone app was launched in July 2011. And by September 2011, Engineer and entrepreneur Larry Kiss also came onboard as a founder. In August 2012, the company completed TechStars Chicago, an accelerator program that empowers entrepreneurs to bring new technologies to market. This taught them how to raise more capital and scale. In the same year, the startup raised capital in a seed, an angel and a venture round raking up around $3.01M. During the Techweek Chicago Growth Summit 2017, Lawrence mentioned that Spothero focused the first three years of its life just catering only to Chicago’s parking spaces. “Other parking apps had scaled to 100+ cities in that time, but we stayed put in Chicago. We tried to bring an enormous amount of value to a small group of people, versus trying to bring a little bit of value to a large group of people,” he added. To project this value, Spothero placed significant focus on online customer acquisition. So, as Lawrence mentioned in a Techweek feature, Spothero began improving its SEO ranking and setting up auxiliary websites like Airport Parking Guides and GasBuddy. 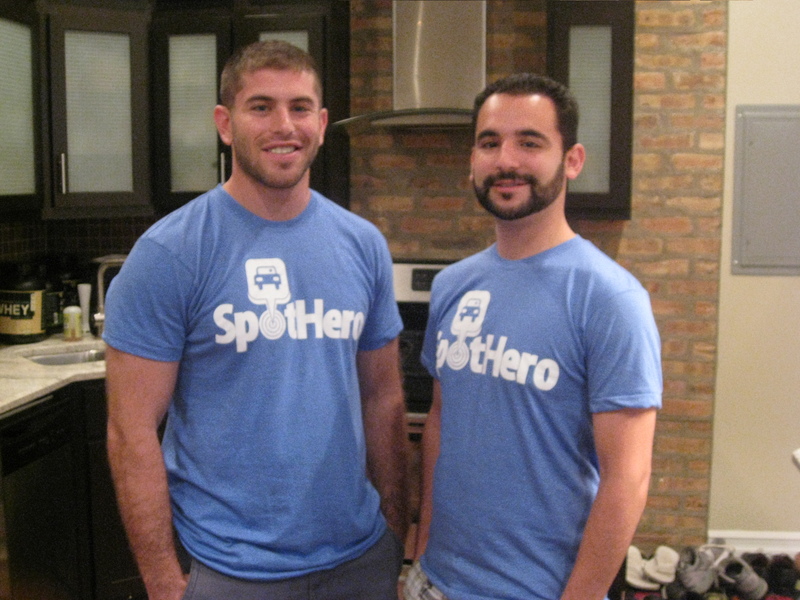 Then in June 2014, Spothero raised $4.5M during a series venture round led by Chicago Ventures. This was followed by $20M raised in a series B round in August 2015. The funding was earmarked to accelerate the startup’s growth, though by this time Spothero was already growing 20% month-on-month. In 2015, when they were trying to raise money for Spothero, Lawrence told Business Insider that some investors thought they had ‘already lost’ the proverbial race. This was because the on-demand valet boom was on, featuring big players such as Carbon, Valet Anywhere, Zirx, and Luxe. People seemed to prefer driving their own cars and then have it parked by valet service, with just a click of the app. But Lawrence intuitively knew that this was not a sustainable model, owing to the extremely slim margins of the valet business. It had very high operating costs, including buying parking spots and paying valet’s wages. Even at times when raising money was proving to be difficult, he truly believed in the potential of the Spothero app. But when the startup saw that competition also going the valet route, it briefly succumbed to the pressure of entering the valet market and launched a pilot valet program in Chicago and New York City. As expected, soon enough, they were forced to pull the plug on this money draining initiative. This further reinforced Lawrence’s faith that an app that lets drivers book parking spots, was the best way to create a billion-dollar on-demand parking company. By 2018, as Lawrence predicted, most of the big on-demand valet apps either closed shop or were acquired, giving Spothero the run of the parking market. This round of funding followed a 100% YoY growth in 2016. Then in April 2017, SpotHero strategically acquired a leading event parking reservations company Parking Panda, making the former the category-leader across all major off-street parking verticals. It also provided the firm with a strong foothold in Canada. Along the way, Spothero launched a bunch of new technology platforms and applications. And by July 2017, 13+ investors (seeing merit in Spothero) invested $30M in a series C round. This round of funding followed a 100% YoY growth in 2016. Today, Spothero is the largest and fastest growing off-street reservation platform in North America with a presence in scores of new neighbourhoods and established partnerships with the largest parking operators. According to the brand website, Spothero has facilitated the parking of 20M+ cars across 5000+ parking facilities, owned by 500+ parking partners, in 50+ major metros. Yet, it doesn’t own or operate any of these parking locations, saving on overhead costs. All drivers need to do is locate and reserve parking through SpotHero’s free iOS app, Android app or website. And end-users can enjoy discounts of up to 80% on booking the parking spot in advance, depending on the demand. It is able to provide such discounts by striking deals with the parking partners in exchange for space in Spothero’s inventory. The parking app also offers pre-tax benefits. What’s more, the parking app also gives businesses the facilities to easily manage employee and visitor parking with the Spothero for Business module. The consumer parking app Spothero, and its closest competitor ParkWhiz, is also a boon for garage owners in the region. 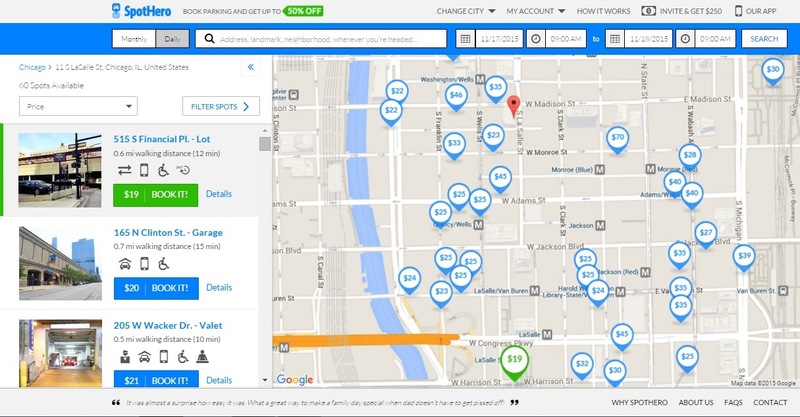 These parking tech companies help their parking lot partners secure customers and increase revenue by capturing online demand for parking and efficiently managing excess inventory. What SpotHero and ParkWhiz do is take a 15% cut, from these partners, on every parking spot rented. It also has its own end-to-end parking mobility platform, HeroConnect. This SaaS product provides parking partners with ‘tools to offer transactional parking functionality in any native app, website or operating system’. In September 2016, Spothero also launched EVENTHERO that takes care of everything from inventory management to customer support to improving the guest parking experience and grow event parking revenues. It also boasts a handheld POS system, digital passes and integrated data and reporting features. Lawrence believes that in today’s day and age, it is critical for companies to be ‘very creative with hiring’ owing to the need for a vast range of skill-sets. Moving away from just cars, Spothero is also in talks with scooter companies to enable the docking of these e-vehicles in parking garages. Additionally, in an interview with Built In, Lawrence mentioned that the startup plans to invest in the autonomous vehicle and smart city technologies. In October 2017, the startup opened an office in Detroit, the auto industry hub of North America. Especially in the current world of automated cars, the move was well-timed as it would enable Spothero to strengthen relationships with auto partners and build the most intuitive parking experience for the next generation of automobiles. Then, on January 2018, SpotHero debuted a disruptive voice-activated parking reservation feature, powered by Google Assistant, in Android Auto. By July 2018, the startup fitted 500+ Chicago-based parking facilities with license plate recognition technology, IoT sensors and other hardware to make it autonomous-vehicle ready. Along with support from SpotHero’s proprietary software, these parking lots are now primed to allow driverless vehicles to automatically find, access and pay for private parking. In that sense, Spothero is truly future-ready.